Standard sign for Supertest. This sign is circular and has a Canadian Maple leaf in the center. 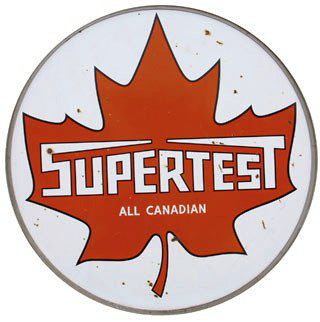 The leaf is red and has the words “Supertest” across the center.